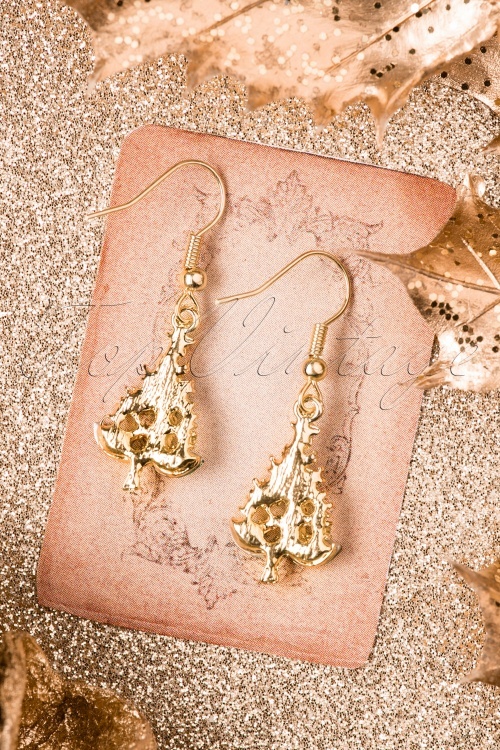 Get in the holiday spirit with these 50s Christmas Tree Earrings in Gold! These festive earrings are made of gold toned metal shaped like a small Christmas trees set with rhinestones in red and green. 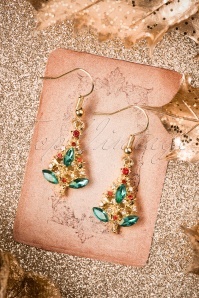 Christmas isn't just a season, it's a feeling!